Since it’s almost Halloween, I thought I’d make a Use Your Stash Challenge with Halloween paper! This project accomplishes two things 1) You use up your seasonal paper in a non-seasonal way (think outside the box with some of the patterns in your paper pads that can be generic!) 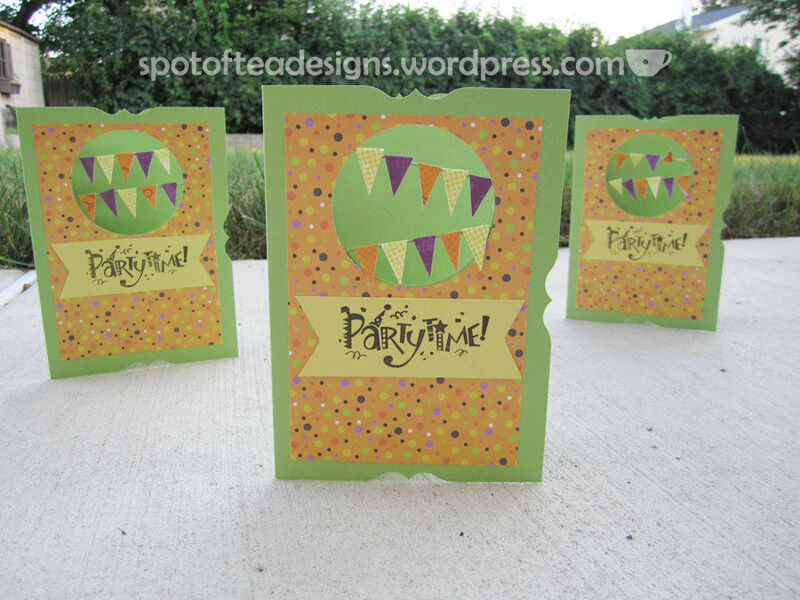 and 2) You can add to your stash for the always needed birthday card! 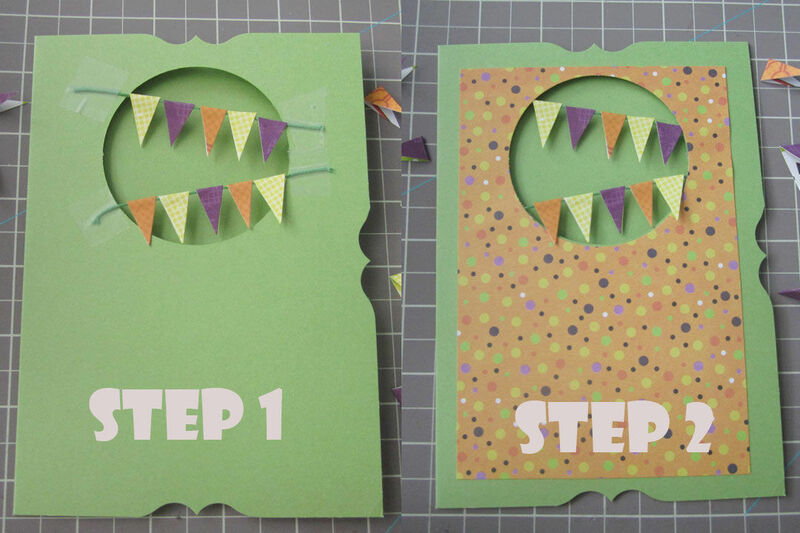 Step 2) Punch the same hole in a piece of patterned paper that is cut to size for the front of the card and adhere it down! this paper hides your mechanics of the pennant garland. Step 3) Finish with a stamped phrase and BAM! another birthday card to send a friend! Spider Cupcakes Happy Halloween, Liam!